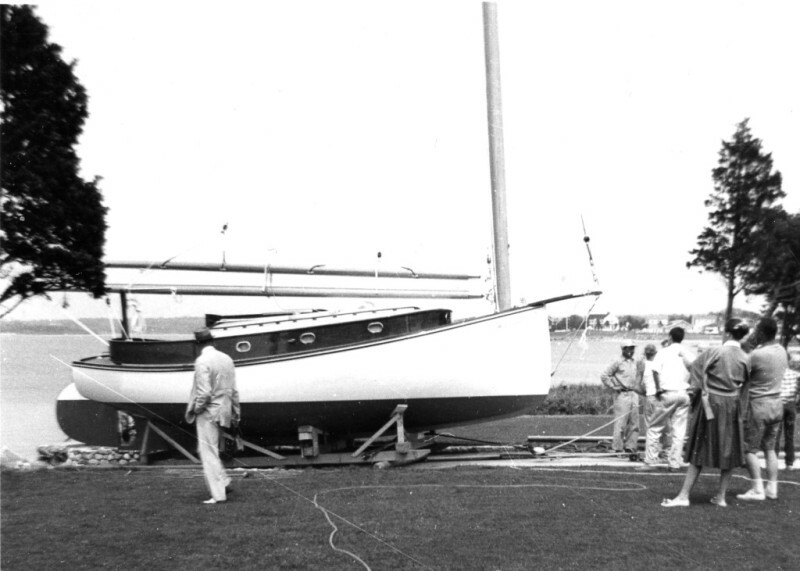 Trim Again, begun in October 1957 and launched June 30, 1959, was built to a design by Eldredge & McIniss, Inc. in a specially build boathouse on coffee Merchant (Victor Coffee) Mr. Ferguson's Pocasset (Wings Neck) estate. 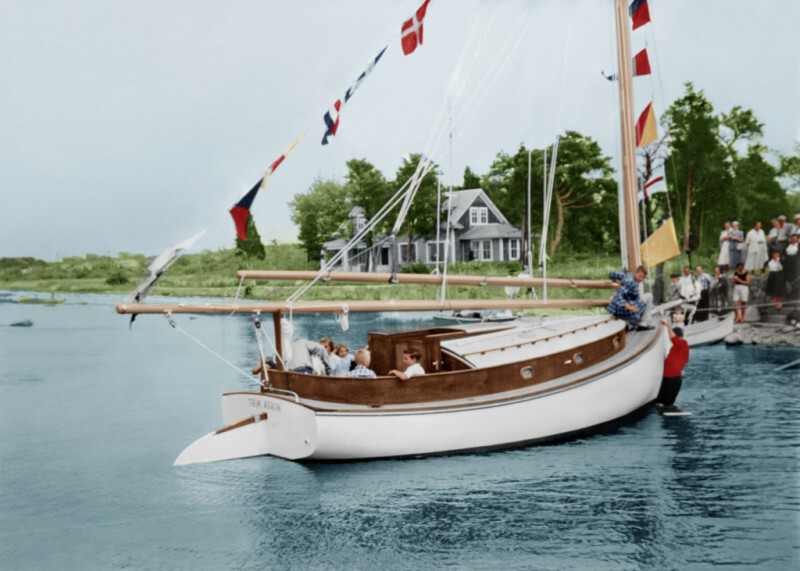 Catboat Association member Merton E. Long of Bourne and Edward Ryder of Pocasset worked with Mr. Ferguson over the period of almost two years spent in her building. 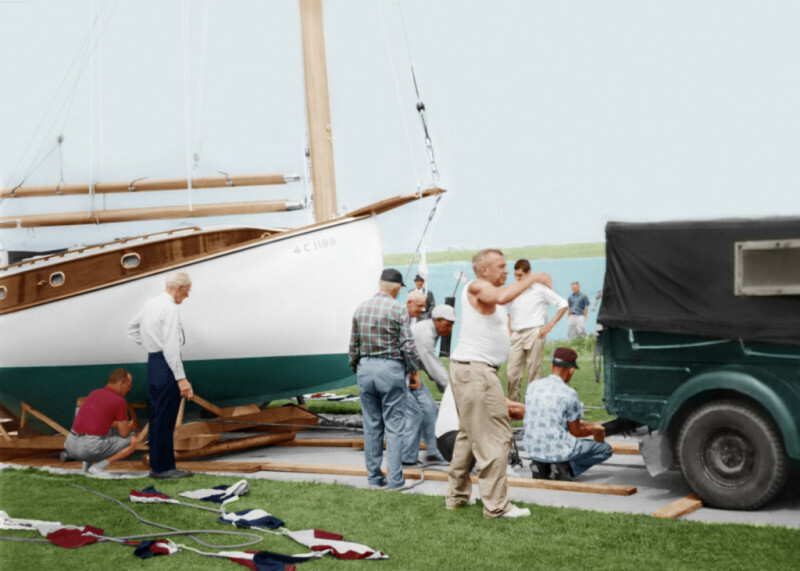 In 1962 Trim Again was a founding member of the Catboat Association. TRIM AGAIN is not large as catboats go. Her overall length is 24 feet, her beam is 11"3". Her draft is 2'4" with her board up. Her design followed the lines of a Daniel Crosby cat (possibly the first Trim) found in Wellfleet, Massachusetts and Pelican. The design was modified to give nearly full headroom in the cabin. Everything possible to make a boat perfect, without regard to cost was put into TRIM AGAIN. 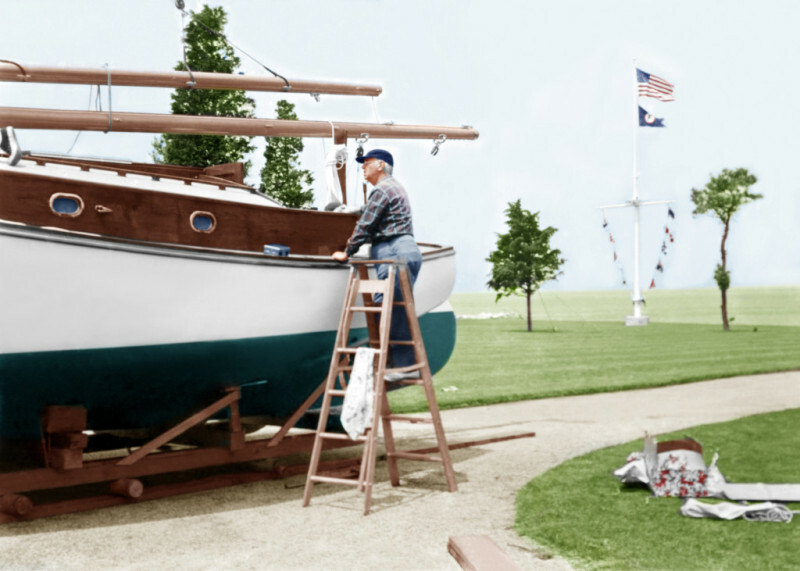 Before building the boat, Mr. Ferguson first built a completely equipped boathouse and boatyard on his estate at Pocasset. Here he had a marine railway with rails from an old trolley car line in New Hampshire, and with black top paving for its entire 260 foot length. 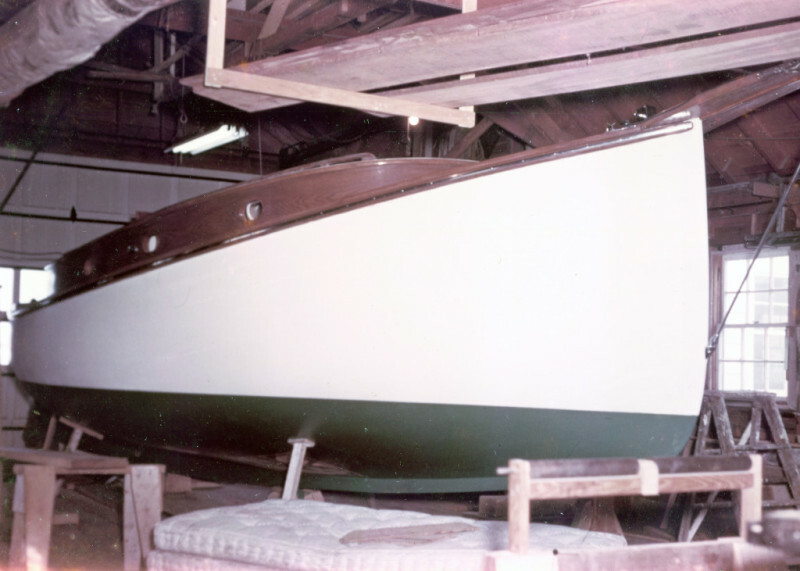 Ferguson bought enough wood of selected quality to build three catboats of TRIM AGAIN's size so that only the very "choicest of choice" would be used in her construction. 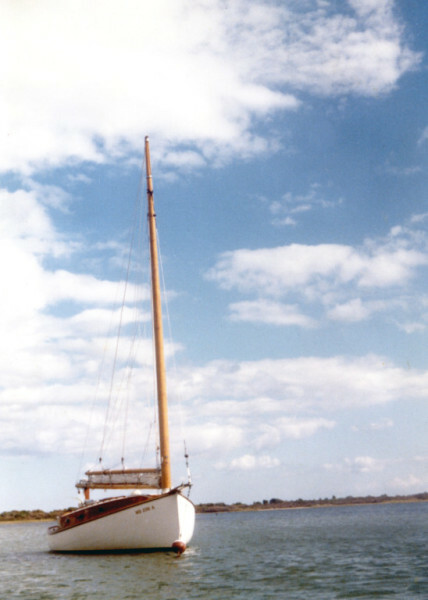 Her keel is of white oak and is, in his words, "the biggest keel that has ever been put on any catboat ever built. The timber itself was taken out of a white oak tree 3 feet in diameter." The keel has a 3/8" bronze worm shoe to cover its entire width. Her frames are of white oak 1-3/4" thick. Her planking is white cedar 11/4" thick. All the beams of TRIM AGAIN were steamed in Mr. Ferguson's boatyard. 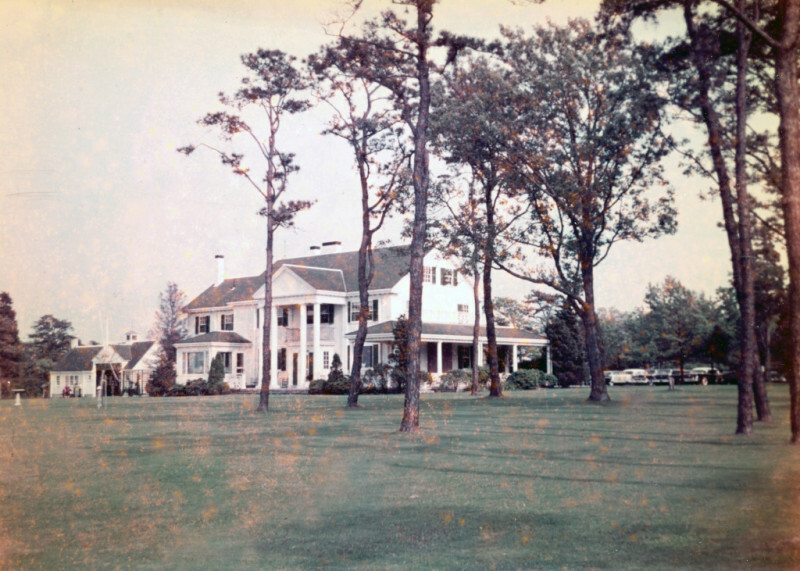 Trim Again was purchased by Jack Spratt, Old Lyme 30 years ago from the grandson pictured here in 1959. Mr. Spratt undertook an extensive restoration including a new center board, rudder, engine rebuild, house repairs, and deck house to bring Trim Again back to Bristol condition. Trim Again had her bottom refastened in 2010 keeping true to the tradition of only the best materials using #16 MONEL fasteners, cut on the same 1850's equipment used for her original fasteners. 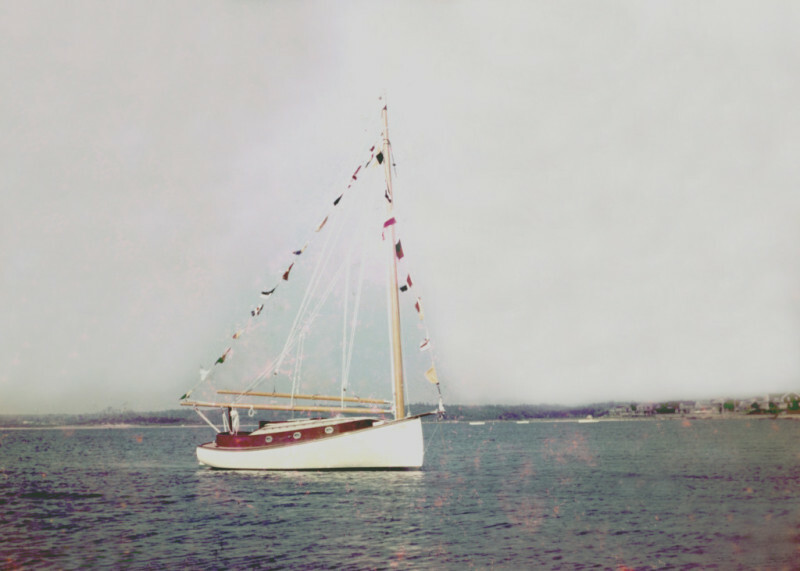 Captain Meredith grew up sailing locally and as part of the Watch Hill Yacht Club sailing team. Captain Meredith has logged more than 10,000 miles on the open ocean around the world aboard traditionally rigged Tall Ships; The Picton Castle, Liberty Clipper , Pride of Baltimore, Stad Amsterdam and Pacific Swift. Captain Meredith is a graduate of University of Miami. An artist as well as opera singer her smile is worth the charter! tain Meredith Spratt holds a US Coast Guard 100 ton Master of steam, motor or auxiliary sail vessels upon Open Oceans License.